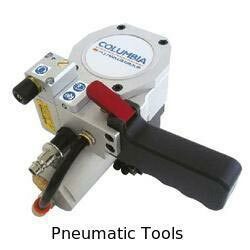 These Pneumatic Strapping Machines are designed for neutral packaging. Widely used in companies which exports iron, textile, household, electrical appliance, stone material and chemical fiber, the Pneumatic Strapping Machine finishes the soldering of PET tape at high speed. Known for high performance, precisely engineered design, high strapping efficiency, and long service life, the Pneumatic Strapping Machine is widely demanded by the clients. Strap width 10-13-16-19 mm/3/8"-1/2" - 5/8" - 3/4"
Strap thickness From 0.4 up to 1.27 mm/0.016" - 0.050"